There are two styles of skiing, classic and skate, each one requires a different set of equipment. 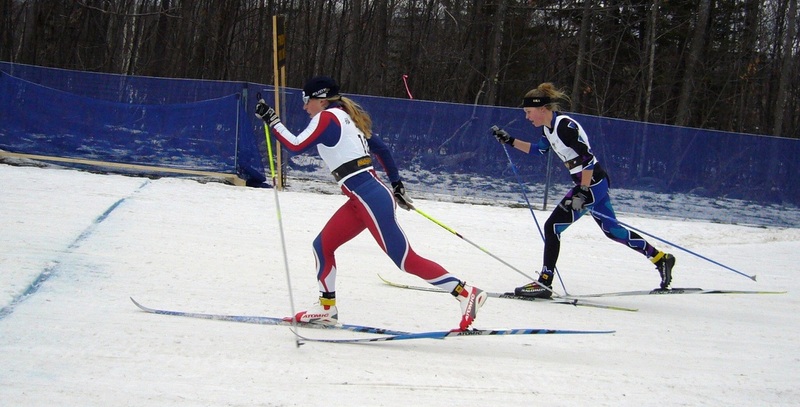 Classic skiing is typically done in prepared parallel tracks and the skier moves their legs forward and back propelling themselves forward, much like running. 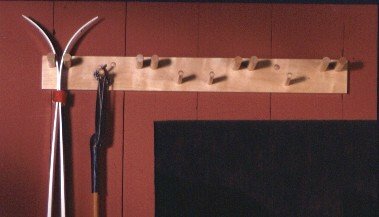 There are two types of classic skis. Waxless or fishscales are skis that have a rough or textured part, called fishscales, under the foot that catches the snow allowing the ski to glide forward but not backward. This is the most common type for beginners and recreational skiers. As a skier becomes more advanced they move to a classic ski that requires the application of kick wax under the foot that acts in the same way as the fishscales, allowing the ski to glide forward, but not backward. Skate skiing requires side to side motion with the skis forming a V, pushing each leg alternately at an angle in order to propel forward, much like ice skating or roller blading. Poles provide added propulsion allowing a skier to move at a much faster rate. Classic poles should come up to about the skier’s armpits. Skate poles should come up to the skier’s chin. Younger skiers can get away with shorter poles because they don’t have the upper body strength to control a longer pole. All younger skiers under age 8 and some first time skiers should first learn to ski without poles. Even after poles have been introduced, it is a good idea to return to skiing without poles periodically to develop leg strength and to learn how to transfer weight from ski to ski with good balance. Classic boots have a softer sole and only come up to about ankle height while skate boots have a stiffer sole and provide some sort of ankle support. Most kids and beginner skiers can use combi boots, or a boot that is designed to work for both. Boots have a metal bar under the toe that the binding clamps over to secure the boot to the ski. Classic bindings are softer allowing the foot to fully flex while skate bindings are stiffer. More importantly, it is good to note that there are two types of binding systems. NNN and SNS. They are NOT interchangeable. Boots that fit into a NNN binding will NOT fit into a SNS binding. All the skis provided to Skiku are mounted with NNN and all the boots fit into NNN bindings so this should not be a problem unless the kids, parents, or school is trying to buy more equipment. The bar under the toe of the boots will attach behind the bumper or the squishy rubber piece often marked by an arrow. (see photo) Some bindings allow the skier to just step in, as this photo shows, pushing down on their toes while the bar is over the slot. Other bindings require a lever to be lifted up in order to push the toe down and then close the binding securing the boot to the ski. Skiers should learn basics about how to care for the equipment. 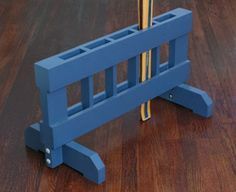 Equipment that is well taken care of will last much longer and be easier to learn on. Skiers should be taught to avoid rocks, dirt, or anything that might scratch the bases. 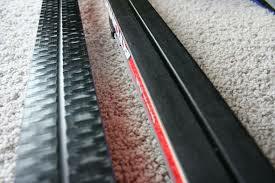 It is best if skis are bound together in pairs, base to base and stored upright with tails down or in a ski bag. Organizing by size allows the kids to be able to find the right skis for themselves and requires less supervision. Develop a process for kids to learn. Skis should be waxed periodically. Wax is chosen by the temperature of the air and snow and the structure of the snow. 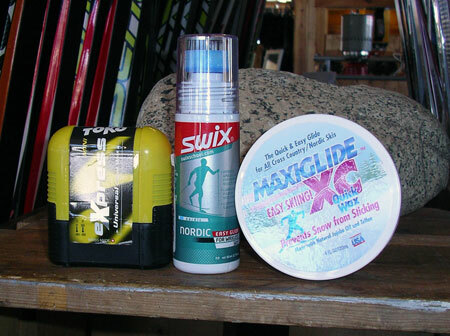 Glide wax helps skis to glide better and can help to protect the bases. Glide wax can come in the form of paste, liquid, rub-on, or hot. Most common is to use hot wax, which requires an iron to melt the wax into the ski and a scrapper to scrape the wax off. This is equipment intensive for beginners so using a paste, rub-on, or liquid is more economical for the more recreational skier. 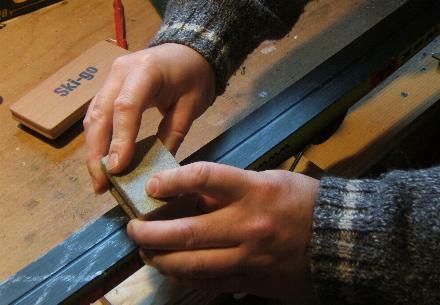 Kick wax is what is applied to the base of classic skis that do not have fishscales. Like glide wax, kick wax is chosen by the temperature of the air and snow. It comes in small tins and is rubbed on the base under the foot in a thin layer and then rubbed in using a cork. This should be repeated 3-4 times to create 3-4 layers of wax. Kick wax needs to be cleaned off after use. Using a scrapper or a putty knife, gently scrape the kick wax off. To remove all the residue, use a paper towel with a bit of wax remover on it. It is very important that kids are properly dressed for skiing. It will make the experience more enjoyable, will be easier for them to learn, and will keep the kids safe from the cold. Dressing in layers is best because skiers will often become hot when they start working hard. Cotton and jeans are not good items for skiing. If it is cold wearing full snowsuits is fine, but often a full snowsuit will be too hot for a kid to ski in. Long-underwear is ideal for keeping warm while skiing. Wearing some sort of over-pant that allows for movement and protects from some elements and a light jacket on top works best. Mittens and hats are a must, especially for kids. Pull up on the silver piece in order to open the binding, step in, and close the silver piece with the weight on your toes.